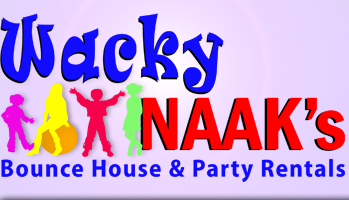 Wacky NAAK’s is a family owned and operated company, and if you live in the Chicago area you have come to the right place for your moonwalk and party rental needs. Here you’ll find a large selection of bouncer rentals, water slides, interactive games, concession equipment, carnival games, and so much more. Centrally located in Northeastern Illinois, in Chicago's western suburb of Bensenville, we are able to service a wide area. Check out service area page for details on delivery and locations. You can be sure your rental equipment will show up on time, cleaned & sanitized. You can also rest easy knowing all Wacky NAAK’s inflatables are lead-free and safe for your children. 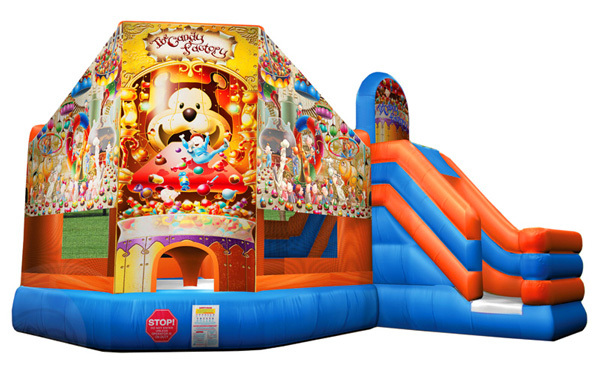 Give Your next event midway carnival atmosphere with a concession machine rentals from Wacky NAAK's Bounce House & Party Rentals. Whether you're putting on a large corporate event or a small backyard party, "Fun Food" is always a welcome treat. These concession machine rentals are easy to operate and come with supplies where indicated. 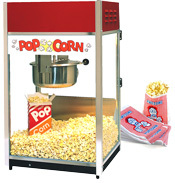 See our complete line of Popcorn, Sno-cone, and Cotton Candy machines, as well as, our Hot Dog Steamers and Nacho dispensers. Create a Carnival Midway at Your Event! Carnival games are a great way to add fun activities to your party or event. They make great fund raising tools for school and church carnivals, and lots of fun for all ages. 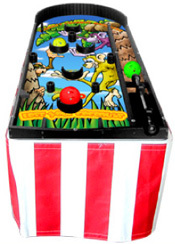 Click the link below and browse our large selection of game rentals like the Monkey Madness Pinball game shown here, or the classic Troll Toss. Mix and match for your own fun center! 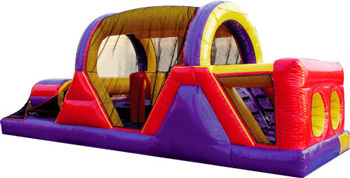 This inflatable obstacle course can be an amazing centerpiece for any backyard party. The course structure begins with a front-loading obstacle entrance, taking participants through tunnels and pop-ups to facilitate maneuvering skills and build confidence. The challenge obstacle then leads to an exciting front-exiting climb and slide, all to guarantee hours of enjoyable physical activity. See the Backyard Obstacle Course in 3D! The Happy Birthday Jump provides over 200 square feet, perfect for all size gatherings of friends! 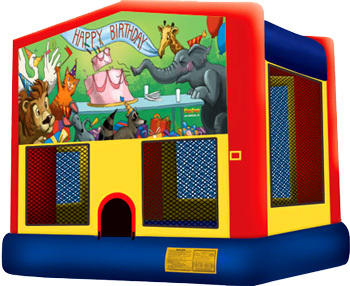 Classic styling, economical pricing and brightly colored Birthday Greeting make the Birthday Bounce House rental a must-have for that special birthday boy or girl in your life.